There comes a time for all-talented sportspeople who are trying to juggle several different codes at the same time that they must say stop. That came aged just 14 for Cork prodigy Shane Kingston. “When I was growing up, I was playing on a scandalous amount of teams, between hurling, football and soccer – across school, club, county and division. I was playing on 15 or 16 teams because you were playing above your age as well,” Kingston outlined. “Then I just called it. I would write out my schedule each week. My parents would say, ‘you can do that, you can’t do this or that’. Thankfully, I had my parents guiding me. Other lads wouldn’t. They’d pick up big injuries at that age. It is very hard, but we’ve learned our lessons over the years. “I had a structure on it since I was around 14. In first year or second year, I had a scandalous amount of games one week. “I had a Munster soccer final, I had a club challenge game, I had a county final with the school, I had just a ridiculous amount of stuff on. 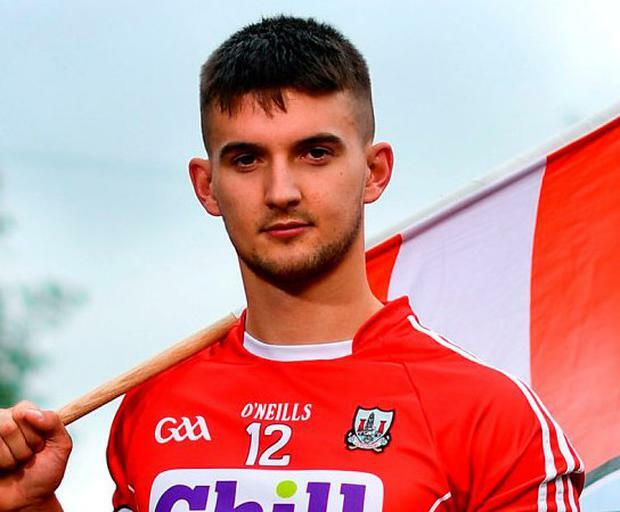 Kingston has already had a busy career with the Cork senior hurlers since breaking onto the scene in his Leaving Cert year, but putting a structure in place helps him to stay injury free and performing to his optimum. The senior campaign didn’t end as planned with a heart-breaking defeat to eventual All-Ireland champions Limerick in the last four and he admits it was “hard to watch” last Sunday’s final as “you’d love to be there”. He has a chance to make amends in their Bord Gáis Energy All-Ireland U-21 final this Sunday, however, and victory would be sweet for Kingston on many levels. It would be a birthday celebration as he turns 21 on Saturday while in his under-age days from U-14, U-15, U-16 at both codes and two years as a dual minor, he had never got his hands on silverware before their Munster U-21 victory last month. It’s also his “last ever under-age game” so there are plenty of motivating factors as they look to repeat their Munster final mauling to Tipperary. “There is no point talking about winning an All-Ireland U-21, we have to go out and do it. We have won a Munster,” he said.